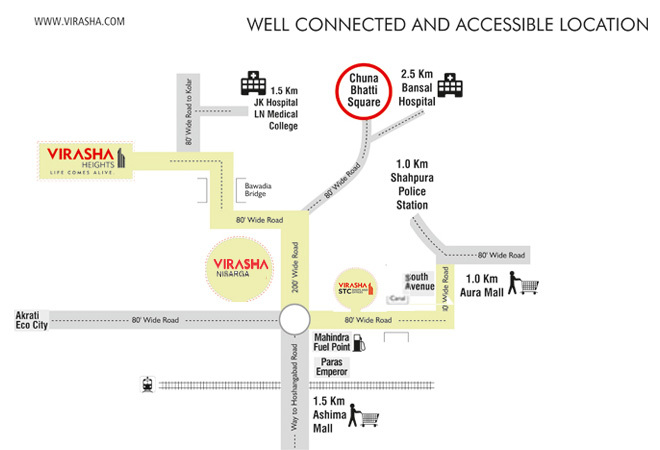 Virasha Nisarga is an exclusive premium 4 BHK apartments project developed by Virasha Infrastructure. A renowned name in the real estate market of Bhopal, with proven track record, well known for its reliablility and delivering happiness to the customers on time. Virasha Nisarga has been designed and developed with a vision to reflect aesthetically perfect luxurious living spaces in an ultra modern township on a single floor, on 200 feet wide main master plan road, of Bawadiakala. A posh, happening well connected and most promising location of E-8 Extension Bhopal. With extra spacious sizes well planned floor plan, superior specifications, excellent quality of construction and development. Virasha Nisarga is a unique township where you will get a neighbor of your class as all the apartments are exclusive 4 BHK, a tranquil place to live, enjoy, rejoice the ambiance and sheer pleasure of good living. » Major landmarks of the city are in 3-4 Kms. distance. » Lavish sizable well planned spaces on a single floor. 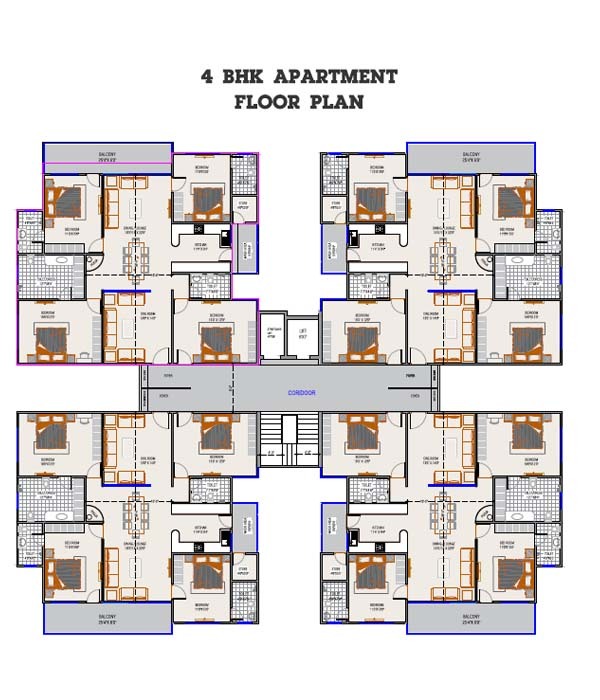 » Exclusive 4 BHK Apartments with 4 Toilets. » 2 Lifts in each Block with power back up, with 1 service lift . » 24 x 7 Secure Campus with Centralize Surveillance. » Every Flat is a corner flat. » Up to the mark development. » Enhance the pleasure of luxurious living. 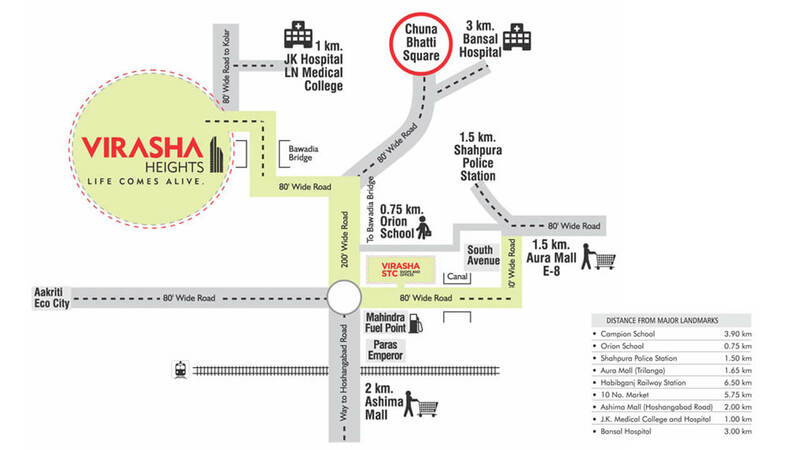 • Located on 200 feet wide bawadiakala main road near to extol square.